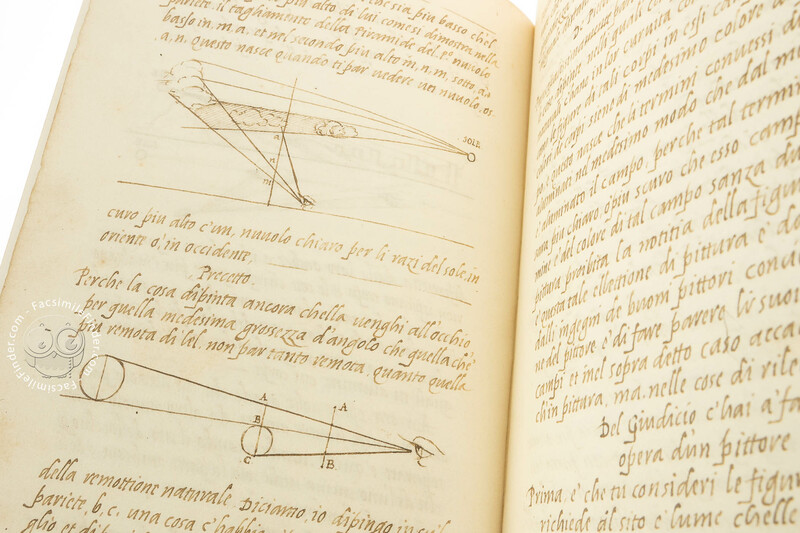 The celebrated Treatise on Painting by Leonardo is rightly defined by Kenneth Clark as ‘the most important document in the entire history of art’. 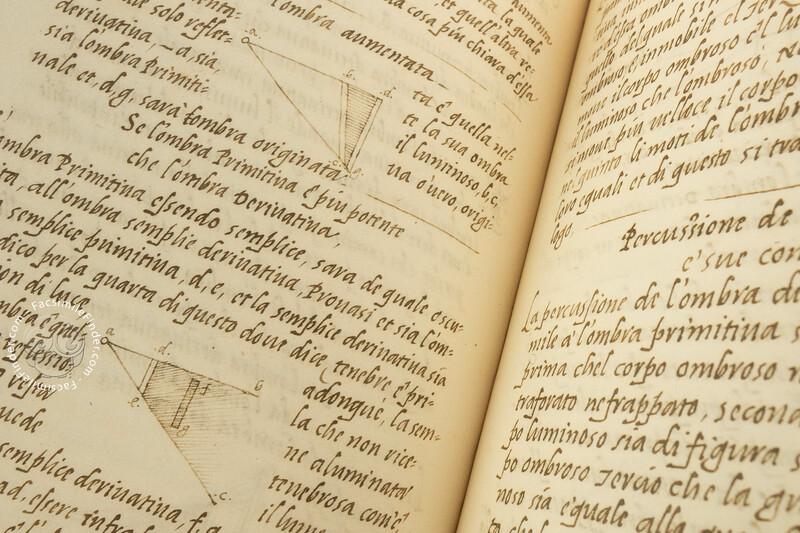 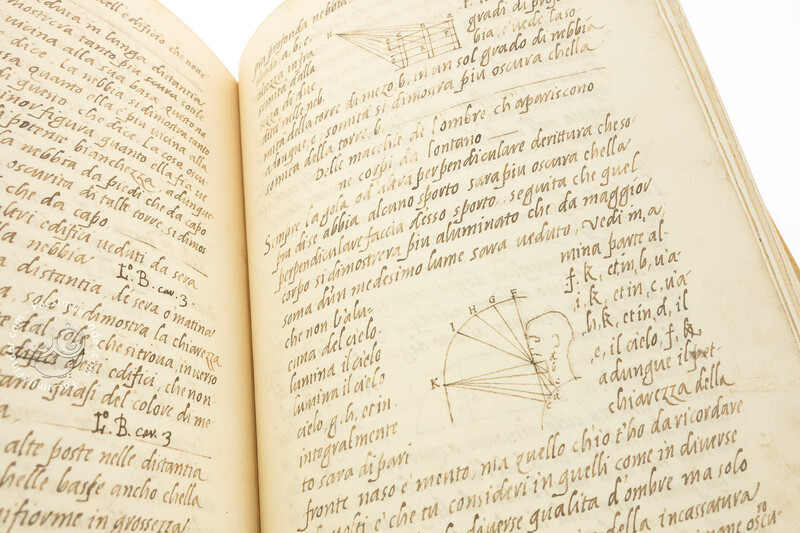 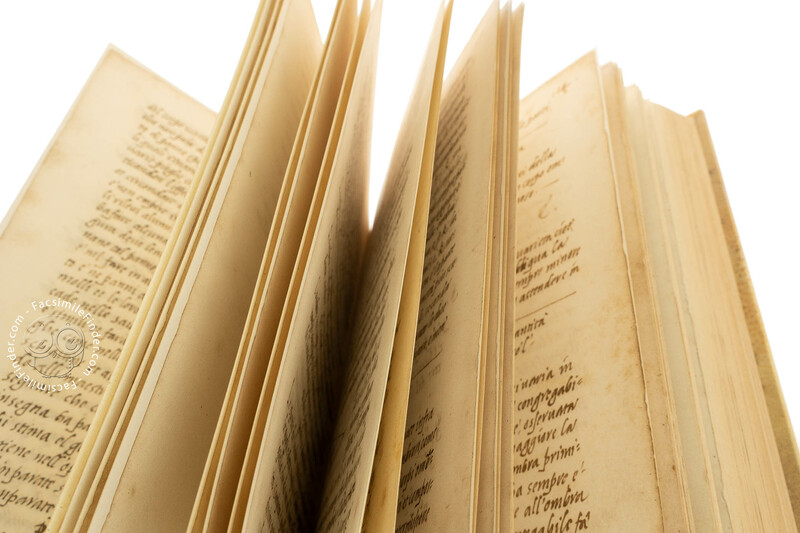 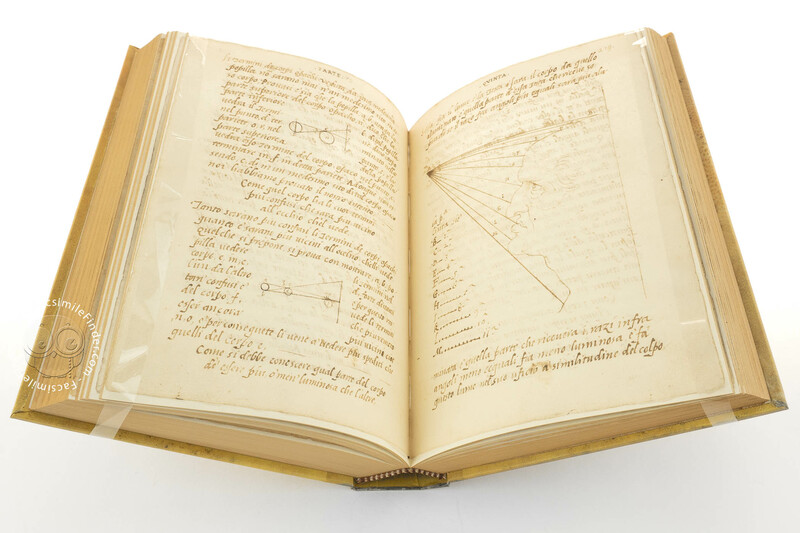 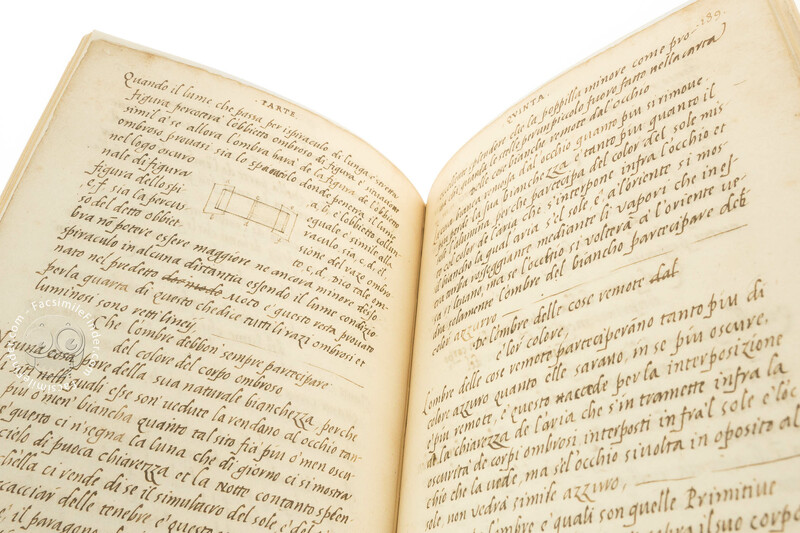 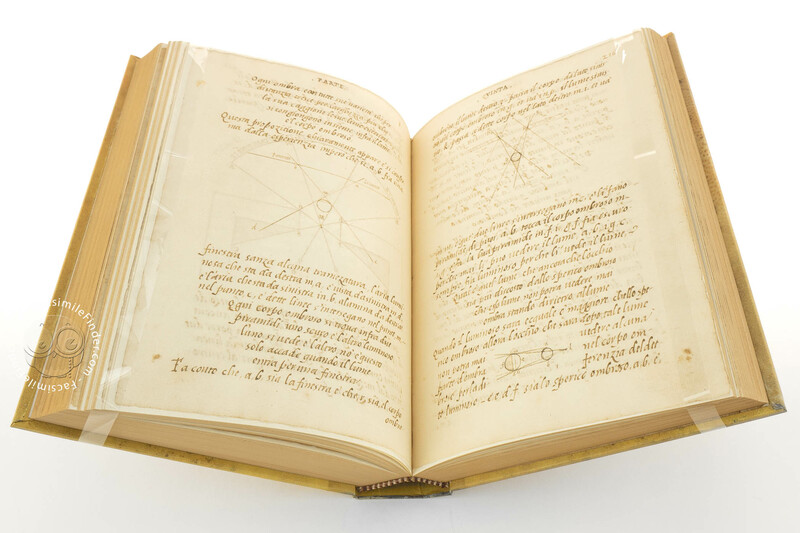 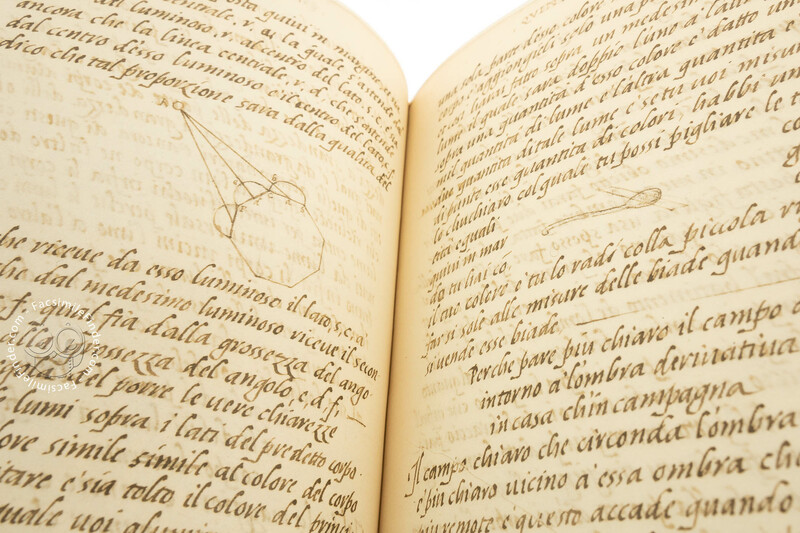 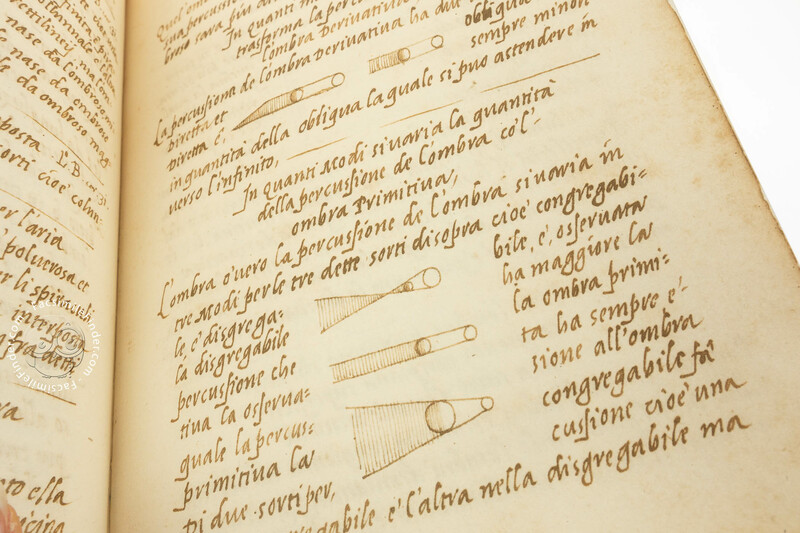 It was compiled by the most faithful of Leonardo’s pupils, Francesco Melzi, following the maestro’s editorial instructions with the copies of texts and drawings made directly from the originals, most of which are now lost. 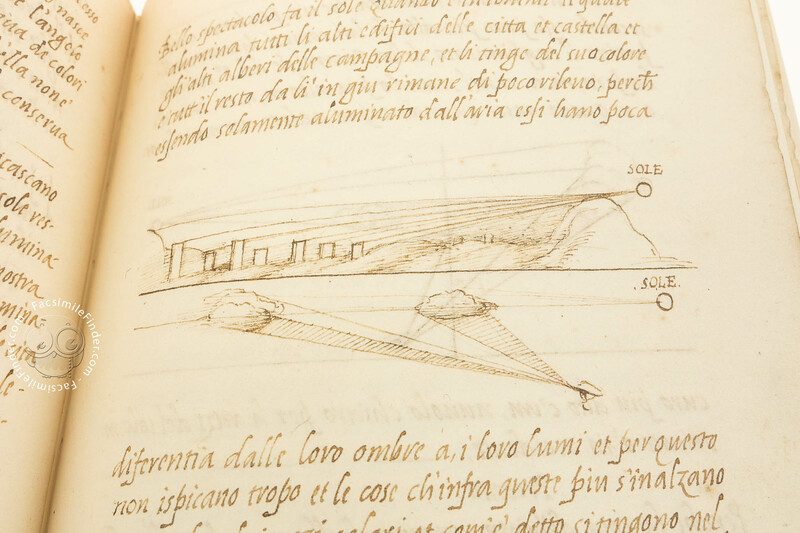 The work was first published in an abbreviated version in Paris in 1651 with illustrations by Poussin. 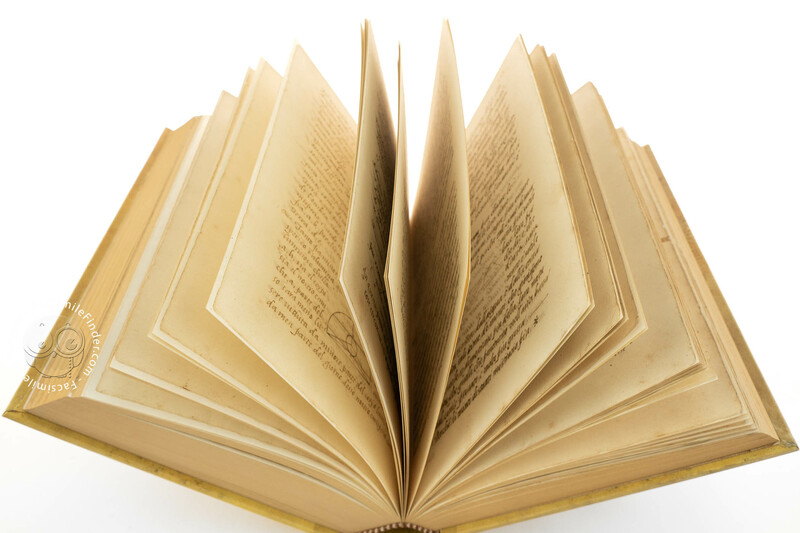 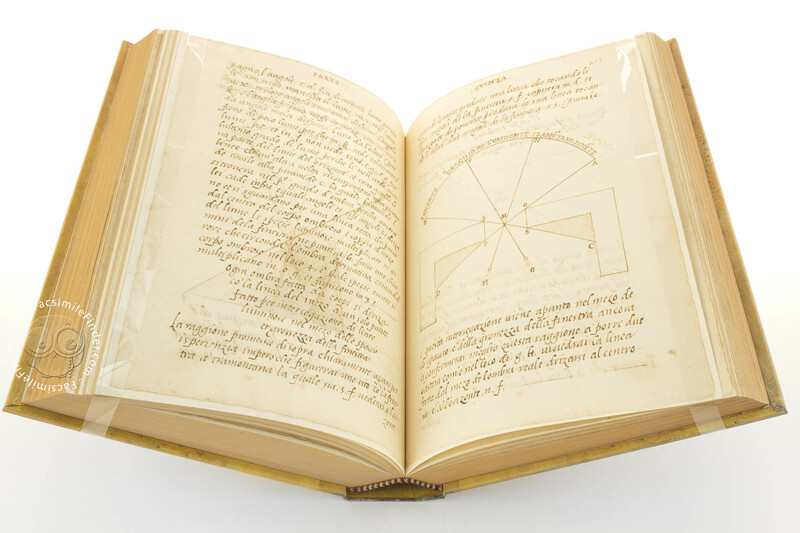 Manuscript book on paper − 658 pp. Full-size color reproduction of the entire original document, Treatise on Painting: the facsimile attempts to replicate the look-and-feel and physical features of the original document; pages are trimmed according to the original format; the binding might not be consistent with the current document binding. 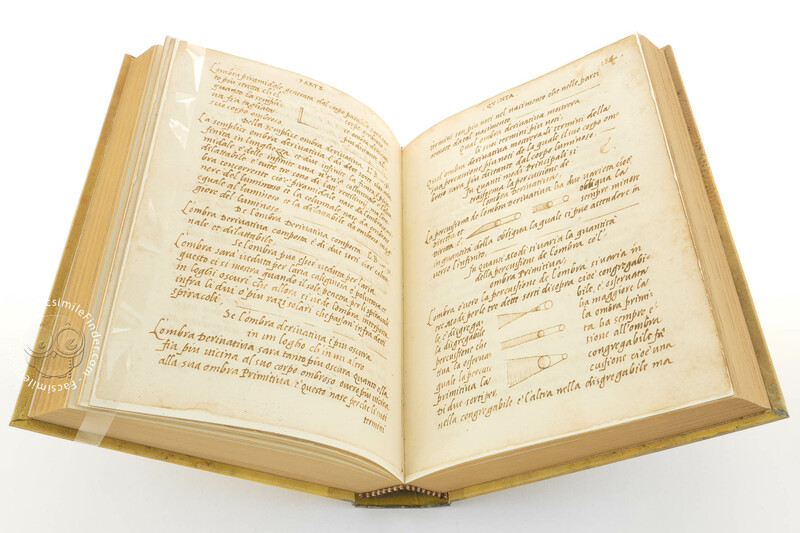 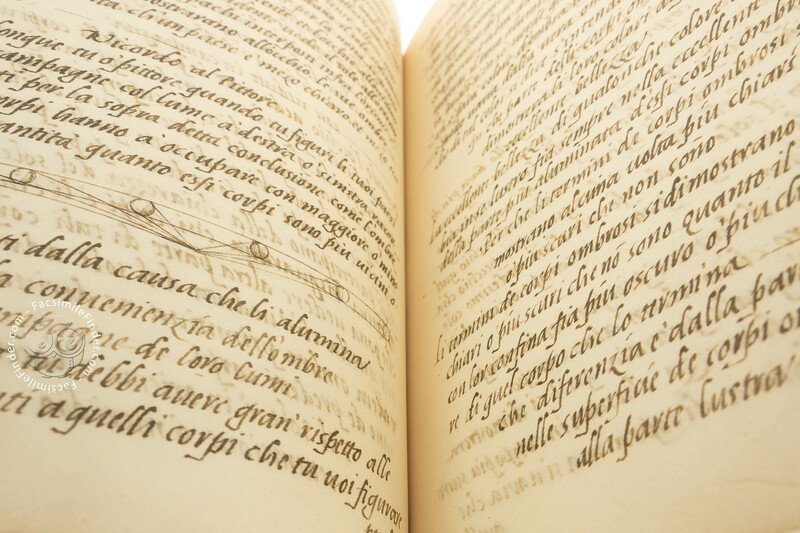 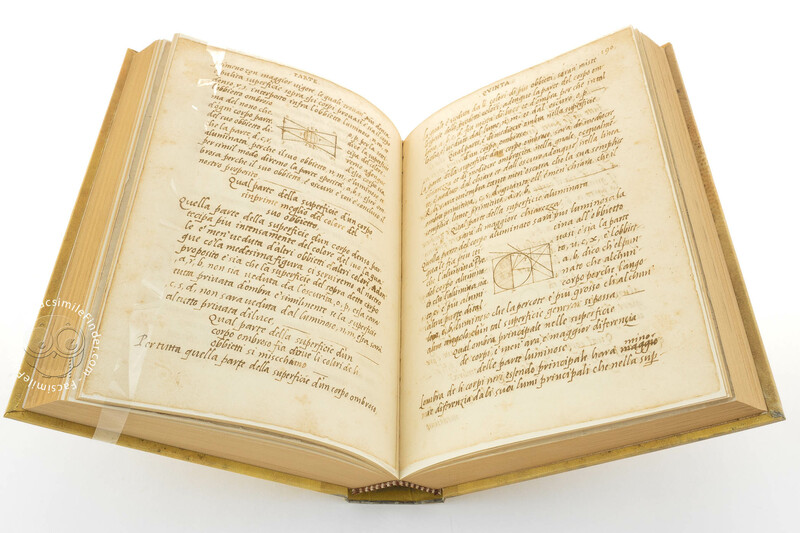 Complete facsimile edition with the original colors, sub-divided into eight sections for a total of 336 sheets (672 pp). 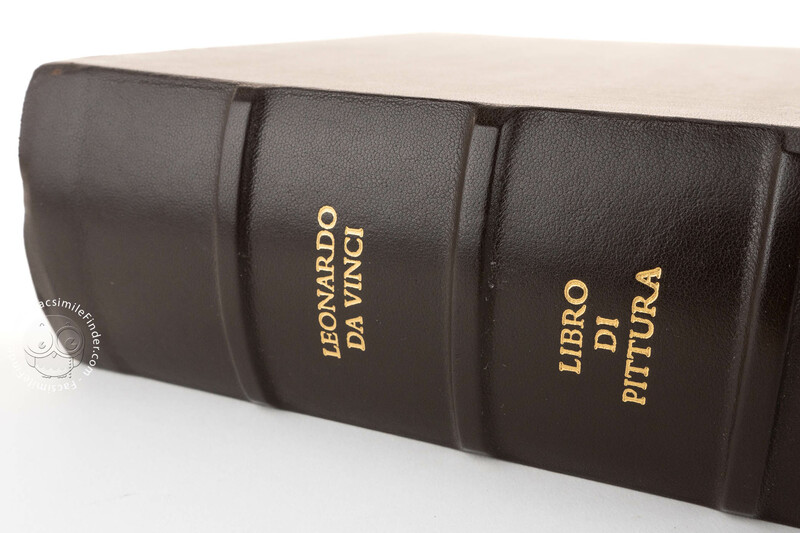 Commentary volume contains an introduction, transcriptions, and a critical apparatus that sums up three centuries of studies on Leonardo’s celebrated "Treatise on Painting", here restored to its original title Libro di Pittura ("Book on Painting"), as intended by the author himself. 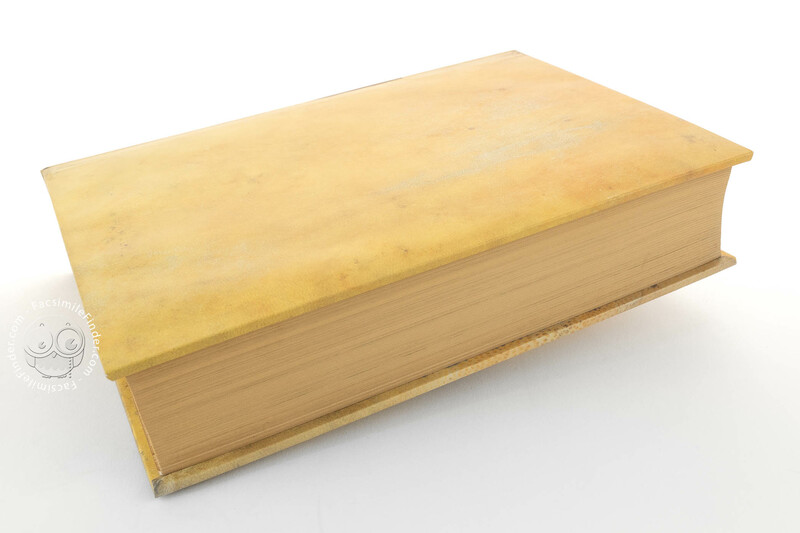 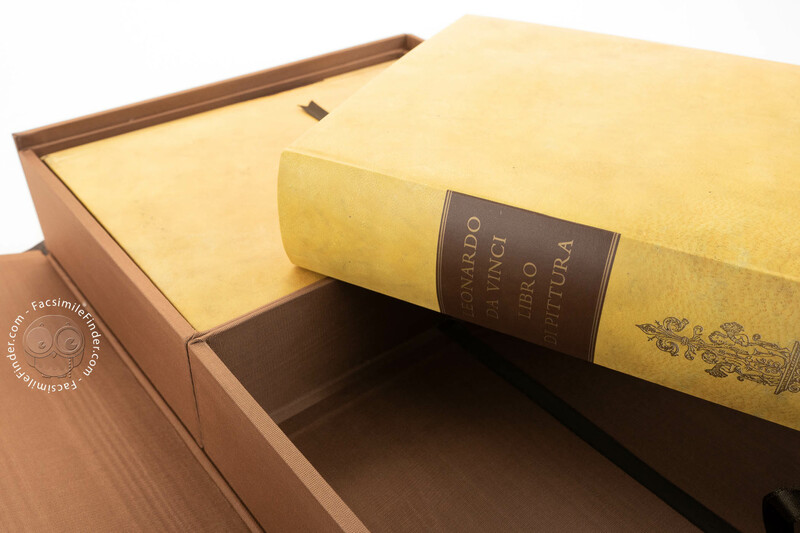 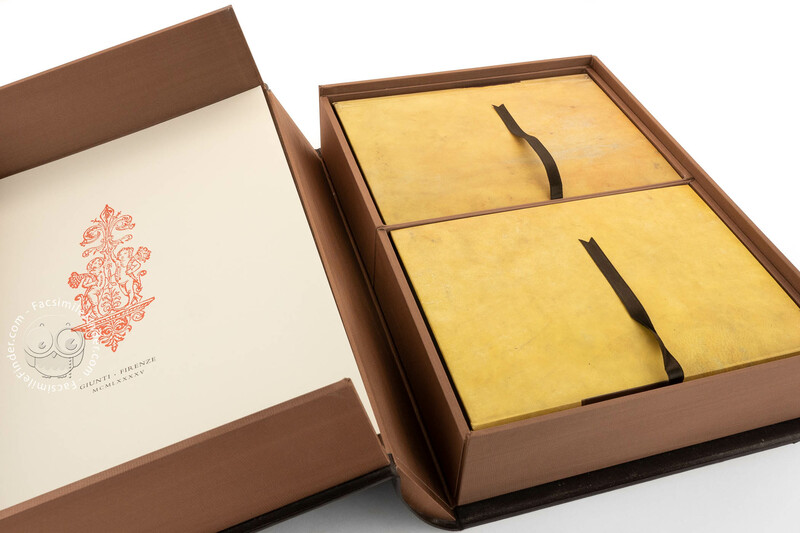 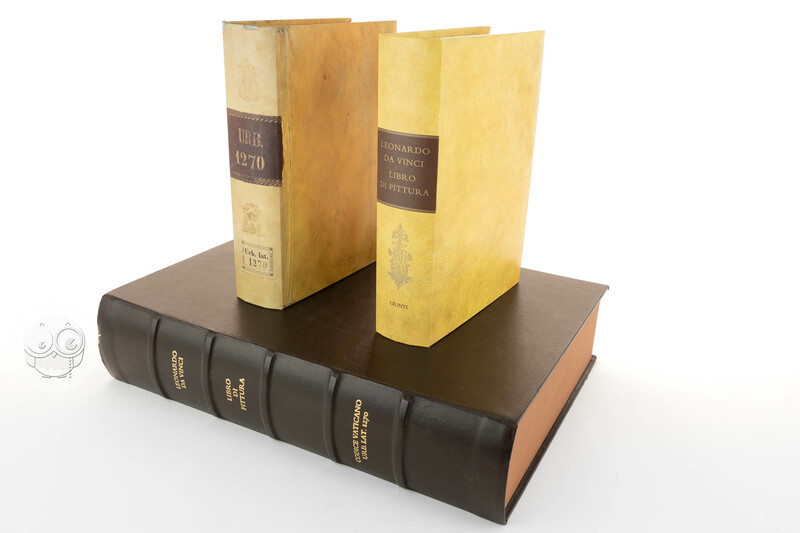 A Leather-covered box (size 250 x 360 mm) with gold tooling contains the facsimile and a 544-page volume of text (both volumes 158 x 219 mm size).